The FS-i6S transmitter and FS-iA10B receiver constitute a 10 channel 2.4GHz AFHDS 2A digital proportional computerized RC System. This system supports quadcopters. Mode: Mode 2(Left hand throttle),we will also send you a self-centering part which can help you to switch freely between the left hand throttle and the self centering throttle. 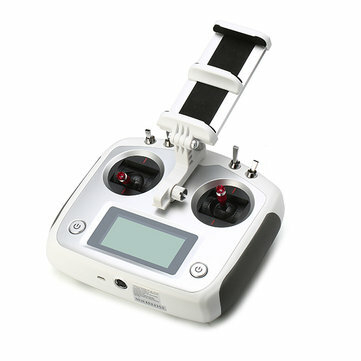 Note: This transmitter is only compatible with Flysky 2A system receiver. The newest firmware,please click here to download. This firmware will add model memory function to your transmitter,no need to calibrate after flashing the firmware.